Alma del Plata Buenos Aires Hotel's restaurant serves breakfast and lunch. A bar/lounge is open for drinks. Room service is available during limited hours. 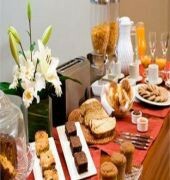 A complimentary breakfast is served each morning in the restaurant. 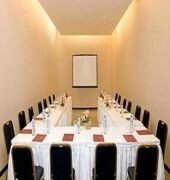 Complimentary wireless and wired high speed Internet access is available in public areas and the hotel has an Internet point. For a surcharge, the property offers a roundtrip airport shuttle (available 24 hours). Tour/ticket assistance and tour assistance are available. 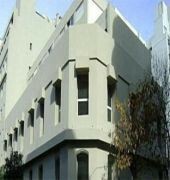 Other property amenities at this Art Deco property include a rooftop terrace, a terrace, and multilingual staff. 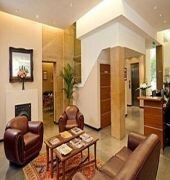 Extended parking privileges may be offered to guests after check out (surcharge).37 air conditioned guestrooms at Alma del Plata Buenos Aires Hotel feature minibars and laptop compatible safes. Accommodations offer city views. Beds come with down blankets. Bathrooms feature shower/tub combinations, bidets, complimentary toiletries, and hair dryers. Wired high speed and wireless Internet access is complimentary. LCD televisions have first run movies and complimentary TV Internet access. Also included are complimentary newspapers and windows that open. Guests may request irons/ironing boards and hypo allergenic bedding. 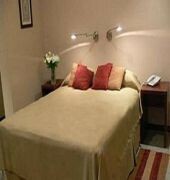 A nightly turndown service is offered and housekeeping is available daily.Alma del Plata Buenos Aires Hotel is located in central Buenos Aires, close to Edificio Barolo, Plaza de Mayo, and Obelisco. Nearby points of interest also include Casa Rosada and Teatro Colon.